Biwa is “the small, yellow, edible, plum-like fruit of the loquat tree.” It’s an extremely subtle fruit that harmonizes sweetness with tartness. 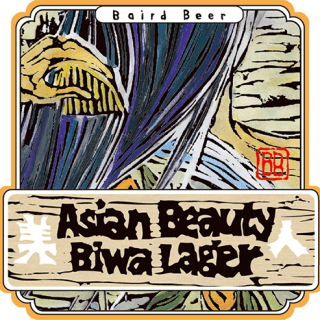 Asian Beauty Biwa Lager is coyly fruity, spritely effervescent and delicately firm — like a true Asian beauty! Biwa is “the small, yellow, edible, plum-like fruit of the loquat tree.” We had no idea what it was until our partner-friend-carpenter-farmer, Nagakura-san, brought some in several years ago for us to taste and then brew with. It’s an extremely subtle fruit that harmonizes sweetness with tartness. Asian Beauty Biwa Lager is coyly fruity, spritely effervescent and delicately firm — like a true Asian beauty! We add the fruit, nuts and all, in three separate additions – two during the hot-side wort production phase and one on the cold-side, post primary fermentation. This year, so as to enhance the overall delicacy of the beer and to further accent the subtle biwa fruit character, we elected to ferment with our house Lager yeast strain. I am pleased with the results. Asian Beauty will remain a Lager henceforth.